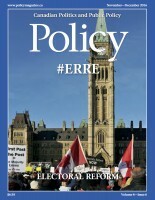 The Internet Voting Project, led by Centre for e-Democracy Director Nicole Goodman, PhD, and funded by SSHRC, surveyed voters, candidates, and election administrators in 47 of the 97 municipalities that offered Internet voting in the October 2014 municipal elections in Ontario. 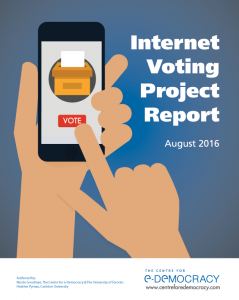 The report provides detailed analysis of the overall findings from each survey group and includes lessons learned for future Internet voting development at the municipal level in Canada and elsewhere. By submitting your information you are providing consent to receive e-mail updates from the Centre for e-Democracy. You may unsubscribe at any time by sending an email to unsubscribe@centreforedemocracy.com with ‘UNSUBSCRIBE’ in the subject line.